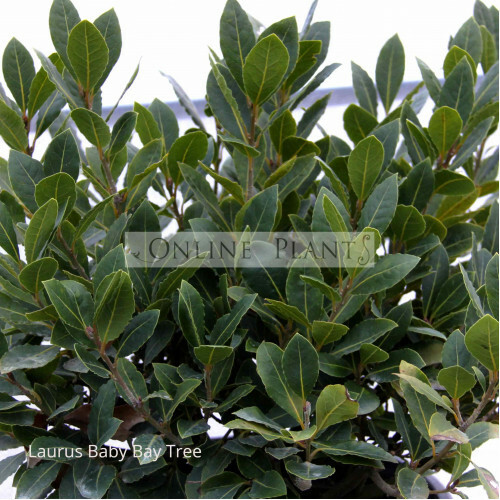 Laurus Baby Bay Tree is a faster growing species than the common Bay Tree with an upright habit. Reaching 1.5-2mt at maturity. However for formal purposes it can be pruned much smaller, and keeps a dense, tight shape if wished. It has an excellent new columnar growing habit, Laurus Baby Bay is great for using with many recipes and is the ideal choice for the smaller garden, pot & container work, not to forget use in the herb garden. It is very hardy and can tolerate a variety of conditions. Laurus Baby Bay is an excellent option for hedging those tight spaces in any landscape. Very hardy species that looks great in semi fomal herb gardens, balcony plantings or for containers.